For the elderly or hard of hearing, standard mobile phones can be difficult to use and not loud enough to hear, making it harder for you to stay in touch with friends and family. 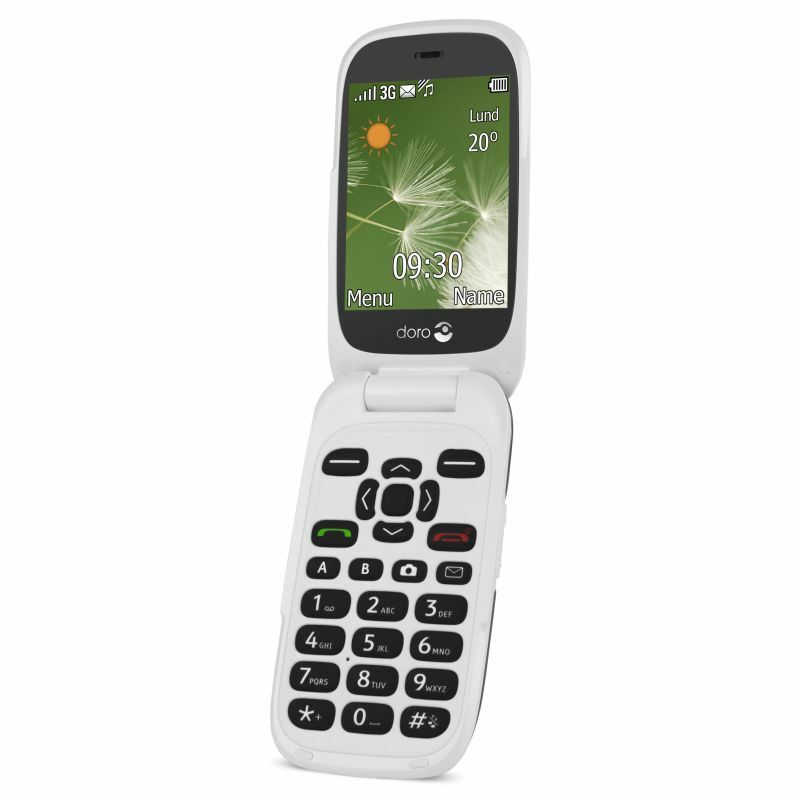 The Doro 6520 Mobile Phone for the Hard of Hearing uses a classic clamshell design to maximise ease of use. With a loud receiver volume and an easy-to-use camera, it's ideal for elderly or hard of hearing individuals looking to stay connected. The Doro 6520 features a loud 35dB receiver volume, making phone conversations easier for hard of hearing individuals. Additionally, tone control helps you adjust the sound to best match your hearing needs. 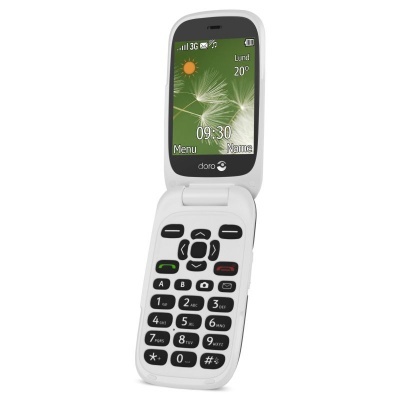 The clamshell design of the Doro 6520 makes it ideal for elderly users. A large, bright and clear 2.8 inch screen makes the menus easy to read and navigate, and the 300 phonebook positions are perfect for keeping all your important contacts at your fingertips. A soft touch coating helps makes the phone easier to grip – ideal for elderly individuals with reduced dexterity. Additionally, the phone uses high contrast keys to make button identification easier. To aid use even further, the keys are widely spaced apart, making each individual key easier to hit correctly. To help you take great photos while out and about, the Doro 6520 features a 2 megapixel camera built in. Incredibly easy to use, the camera not only enables you to take great photos but also share them thanks to the phone's MMS capability. To help you get the help you need in an emergency, the Doro 6520 features an Assistance button. When activated, the phone sends an emergency text message to all numbers in a list, and starts dialling numbers one at a time to help you get help fast. On top of this, the button automatically activates speakerphone – vital if you're unable to hold the phone to your ear.